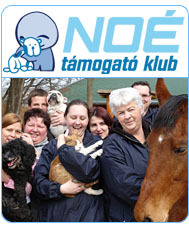 Noé Állatotthon Alapítvány - Mogyoró update! It looks like we are WINNING! Our beautiful Mogyoró who was practically cut in half by a sword is getting some fresh air in the courtyard at the Délpest Surgical Center. This wonderful dog is full of life, love and kindness. The horrible of wound was sutured together and drain tube is helping to let the excess fluid out. He is fighting and he wants to live! We had extra "excitement" because of his poop or rather the lack of it and he had to have an enema. Everything is fine now. He is still staying at the Clinic and the road to healing is long so keep his finger crossed for him. Every little help means a lot to us so If you wish to support Mogyoró's surgery and treatment you can do it the following ways!